We are pleased to announce that Opie Oils now stock Hella products. If you’re after replacement bulbs, headlamp units, auxiliary lights and a huge array of other high quality lighting parts, then look no further than RIGHT HERE. Also on the shelf and ready to go is a comprehensive range of Hellas premium wiper blades which can be found HERE. Denso Iridium TT spark plugs – Now at Opie Oils! Their newest addition to the range is the Denso Iridium TT (twin tip) – available from Opies for as little as £5.40. Don’t forget to use the discount code “OPIEBLOG” to get an additional 10% off your order! This ultra high performance spark plug combines Denso SIP technology with the worlds smallest diameter electrode and features a higher concentration of iridium than ANY other rival – the 120,000 km life span of this product it the proof point of its quality. Vastly increased lifespan of the plug – up to 120,000km! This premium range is now available from our Opie Oils store and has many popular applications – You can use our handy look up guide to find the correct ones for your vehicle. The performance enhancements and economy benefits of using this super efficient spark plug makes it great value for money – don’t forget, we’re happy to help at any point if you fancy getting in touch via our contact form or give us a call on 01209 202 949 – we’re here Monday to Friday 8:30 – 5:30. Until we have anything else to shout about, that’s all from us for now! VP Racing Fuels are a huge name over in the States – A household name and recognized by many as the world leader in race fuel technology, with a catalogue of nearly 70 fuel blends and a growing roster of VP-fueled champions across the entire spectrum of motorsports. VP Racing Fuels was founded by Steve Burns, who initially exhibited his aptitude for R&D in the early 1970’s as a young racer in San Antonio, Texas. Steve was convinced the race fuel manufacturers of the day were falling short in their quest for optimum horsepower. To address this shortcoming, he began experimenting with exotic blends of fuel. 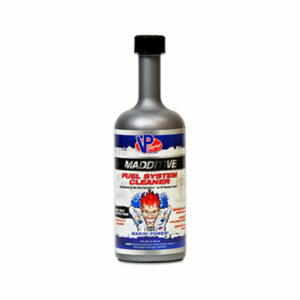 Over time, this led to the development of their fuel enhancers and additives, or “madditives” as they are better known. Eliminates the problems caused by ethanol fuel while reducing heat and extending engine life. Fuel Stabilizer with Ethanol Shield protects your engine and prevents repairs. 8 ounces of Fuel Stabilizer with Ethanol Shield will protect up to 80 gallons for 3 years. Restore the power your engine once had. 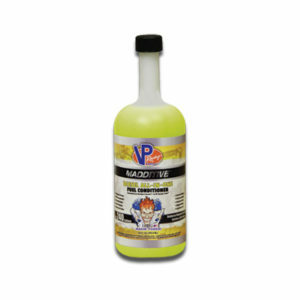 Cleans fuel system and removes deposits from the combustion chamber. Power Boost gives you a “seat-of-the-pants” jolt that makes driving fun again, while reducing the need for higher-octane gasoline. 16 ounces treats up to 18 gallons. Get more out of your diesel engine with Diesel All-In-One Fuel Conditioner. All-In-One Fuel Conditioner cleans injectors and pumps, increases cetane, and replaces lost lubrication. Increase fuel mileage and reduce smoking. 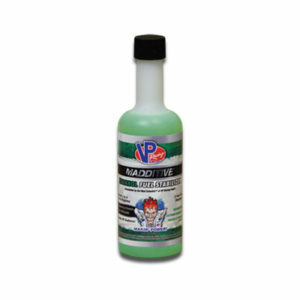 Protects petroleum based and biodiesel, disperses water, and shields against gelling to -40°F. 24 ounces treats up to 240 gallons. Octanium is blended for off-road racing applications and increases gasoline octane up to 8 numbers (80 points). Improve throttle response and acceleration, while eliminating knocks and pings. 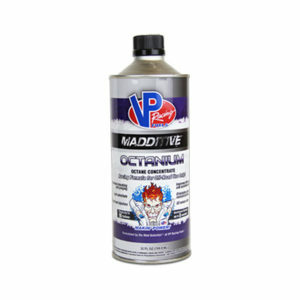 Octanium cleans fuel injectors and increases horsepower, but is for racing use only. Not recommended for use with catalytic converters or o2 sensors. 32 ounces treats up to 10 gallons. Increase cetane for off-road racing diesel applications. 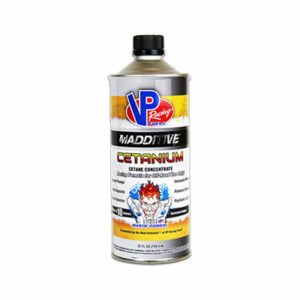 Cetanium cleans injectors and pumps and will increase your fuel mileage while it replaces lost lubrication. 32 ounces treats up to 10 gallons. 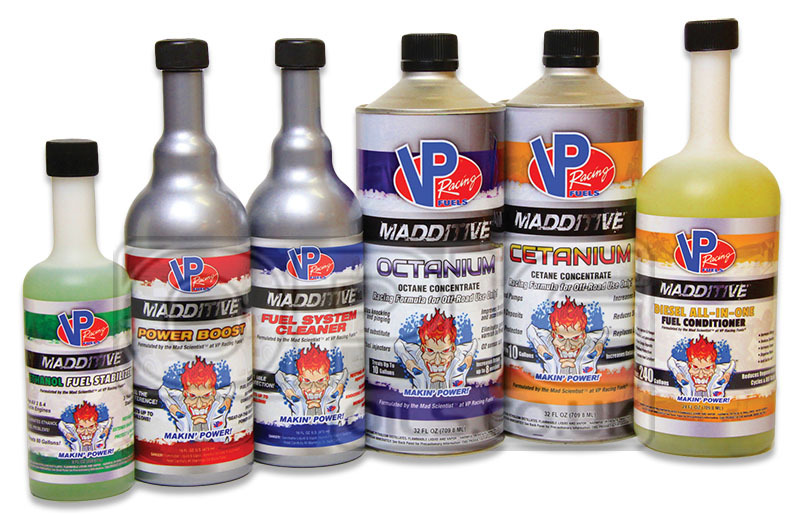 We’re pleased to welcome these to the team, VP’s “Madditive” line of performance chemicals for automotive applications is engineered to improve performance as well as save you money at the pump and at the shop. VP’s reputation for quality and performance set this line apart from the competition, offering results that simply can’t be found elsewhere. We’re sure you’ll find a product that really enhances your driving experience. Should you need any advice on the correct product for your particuar application, please feel free to give us a call on 01209 202 944 or drop us an email to sales@opie oils.co.uk and we will be happy to help. We’re here Monday to Friday 8:30 – 5:30. As you know, at Opies, we’re pretty enthusiastic about cleaning and detailing. We stock a huge range of top quality products from an array of highly respected brands. One such brand that has caught our eye in the last few months is Kleers. They have been making waves accross the UK and are building quite a reputation in the world of detailing and car care products. They are now available at Opie Oils, and as you can imagine, we were keen to get them on board and let you guys know about it! Based in the seaside town of Sheerness in Kent, founded and owned by brothers Rob and Andy Barnes, they have gone from strength to strength since their first products were developed in 2010 – receiving praise and acclaim on a global scale. This new range is designed to cover you from start to finish, from the initial shampooing, right through to creating a protective layer for your alloys and even cleaning and maintaining car wraps or vinyl that has been laquer protected. With Kleers, you get a top tier product at a great price – don’t forget to use the discount code “OPIEBLOG” for an additional 10% off your order. 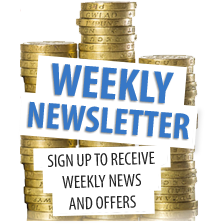 Should you need any further info or pointers in the best application for your vehicle, please feel free to give us a call on 01209 202 944, drop us an email to sales@opieoils.co.uk or simply message us on here and we’ll be happy to help. We’re in the office Monday to Friday 8:30 – 5:30. Opie Oils are giving away FREE 1L of Motul Vision Expert Ultra with every 5L of Motul 8100 X-Cess 5w-40. Castrol Gear Oil Range Extended. Castrol Gear oil and final drive products provide smooth functionality and reliability for automatic and manual gearboxes and differentials. Opie Oils sells an extensive range of these top lubricants. Castrol have been appointed as the worldwide strategic lubricants partner for Jaguar Cars Ltd, Land Rover, Volvo Car Corporation and Aston Martin.